More than four years after Kirk Zimmerman was arrested and accused of the murder of his ex-wife, Pam Zimmerman, his murder trial is poised to begin in McLean County. Take a look back at some of the coverage of the case since Pam Zimmerman was found shot to death in her East Washington Street office in November 2014. BLOOMINGTON — Bloomington police continued to remain close-lipped Thursday in the case of a businesswoman gunned down in her east-side office. Pamela Zimmerman, 53, was found after police were called at 7:16 a.m. Tuesday to check on her well-being by a family friend. She was pronounced dead at the scene about an hour later. Anyone with information is asked to contact Bloomington police Detective Michael Johnson at 309-434-2369 or Detective Tim Power at 309-434-2579. Police executed a search warrant Wednesday evening at a Normal residence in connection with the case but declined to say what, if anything, was found. The home was not that of the victim. No one was in custody in connection with the case after the search, police said, adding they could not comment on whether a weapon has been found. A police squad car and uniformed officer also were stationed Wednesday at the crime scene at Washington Park office complex, formerly known as Doctor's Park, at 2103 E. Washington St.
"The circumstances surrounding Pam's death remain suspicious and the Bloomington Police Department continues to investigate this incident," said Coroner Beth Kimmerling on Wednesday, noting the wounds were not self-inflicted. "No further specific details will be released as to not jeopardize the pending investigation," she said. When asked via email whether there is a risk to the public's safety, police spokeswoman Sara Mayer replied, "Everything possible is being done regarding the investigation." In reply to other emailed questions, she said, "No additional information is available at this time." Police also did not explain why they waited nine hours after they found the body to issue a news statement saying they were investigating a "suspicious death" at a business at a busy intersection. Bloomington Police Chief Brendan Heffner did not respond to email requests for comment. People who knew Zimmerman at the office building where she worked are remembering her as a consummate professional who loved her family, friends and her job as a Certified Public Accountant. She was the mother of three high school-age children and a successful businesswoman. She was an active member of St. Patrick's Catholic Church and involved in Children's Discovery Museum and St. Jude's Research Hospital. "She was a very nice person," said Dr. Emil Verban Jr., a dentist in the Washington Park office complex. "Nobody said anything bad about her." "She was one of the most professional, nicest people on Earth," said his assistant, Hope Perry. "I used her services and she will be missed." After closing Tuesday when Zimmerman's body was found, Verban's office reopened on Wednesday. According to her business website, Zimmerman had more than 15 years of experience as a Certified Financial Planner. She attended Maroa-Forsyth High School where she was valedictorian and senior class president, graduating in 1979. She attended Eastern Illinois University in Charleston with a double major in accounting and management. Her hobbies included skiing, biking and volleyball. 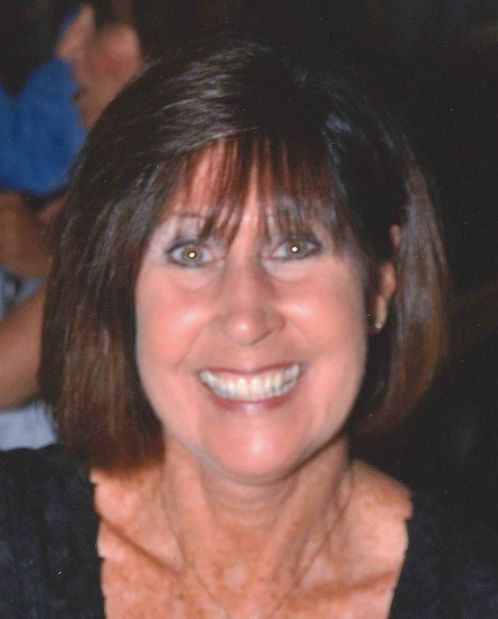 BLOOMINGTON — Pamela S. Zimmerman, 53, of Bloomington, passed away at 8:18 a.m. Tuesday (Nov. 4, 2014) in Bloomington. Her funeral will be at 10 a.m. Tuesday at St. Patrick's Catholic Church of Merna, 1001 N. Towanda Barnes Road, Bloomington, with Monsignor Greg Ketcham officiating. Her graveside service will be at 3 p.m. Tuesday at Saint Isidore Cemetery, rural Bethany. Visitation will be from 3 to 7 p.m. Monday at the church. In lieu of flowers, memorials may be made to St. Jude Children’s Research Hospital, Children’s Discovery Museum, American Cancer Society or the Zimmerman children’s trust fund to be established. Carmody-Flynn Funeral Home, Bloomington, is assisting the family with arrangements. Pam was born on Feb. 18, 1961, in Decatur, the daughter of James W. Smith and Barbara J. Bresnan Alexander. She is survived by a son, David Zimmerman, and twin girls, Rachel and Heidi Zimmerman, all at home; four siblings, Diane (Bruce) Gifford, Jim (Michelle) Smith and Eileen Milligan, all of Decatur; and Larry Alexander, Bolingbrook; three aunts, Alice (Larry) Sartori and Grace Bresnan, both of St. Louis; and Virginia Grant, Gainesville, Fla.; her fiancé, Scott Baldwin, Roselle; and many nieces and nephews. Pam was preceded in death by her parents and one sister, Fran. Pam graduated from Maroa-Forsyth High School in 1979, where she was valedictorian and senior class president. She attended Eastern Illinois University, graduating with a double major in accounting and business management. Pamela was a certified public accountant and a certified financial planner, owning and operating Pamela S. Zimmerman, CPA, CFP. Pam was an example for what we all want to see more of in this world today. Above all else, Pam was a kind, caring and devoted mother who would tell anyone who asked that the greatest treasures in her life were her three children. Pam dedicated her life to giving to others and living life with self-discipline, responsibility, moral clarity, courage, steadfast determination and virtue. She was truly a special person, beloved and respected by all and a spiritual woman involved in many church and volunteer activities. Her efforts each day brought us wisdom, happiness and made the world a better place. She will never be forgotten and will always be an inspiration to show us how to live our lives. The family would like to extend a special thank-you to Ina Hess, the Koh family and friends and neighbors for all of their love and support. Condolences may be left at www.carmodyflynn.com. BLOOMINGTON — The ex-husband of a Bloomington woman found shot in her office in November was arrested Tuesday in connection with her death. Kirk Zimmerman will face first degree murder charges in the Nov. 4 shooting death of his former wife Pamela Zimmerman, according to statements by Bloomington Police Chief Brendan Heffner and State's Attorney Jason Chambers at an afternoon press conference. The 56-year-old suspect was picked up by police without incident around 7:15 a.m. Tuesday as he was driving near Gill Street and Airport Road on the city's east side, said Heffner. Zimmerman was found shot to death Nov. 4 by police who went to her office at 2103 E. Washington St. to check on her well-being as requested by a friend. The financial planner and certified public accountant had been shot multiple times, said police. The arrest follows an eight-month investigation. Early police work by many of the two dozen officers who lined the back of the BPD Osborn Room for the press conference failed to produce an obvious suspect, said the police chief. Heffner declined to say how long Zimmerman has been a suspect and said the investigation is ongoing. "Our diligence and hard work paid off but we still have work to do, said Heffner. Answers to specific questions about the crime, including a possible motive, will have to wait, said Chambers. "We have to make sure he gets a fair process here," said the prosecutor. Zimmerman will make his first court appearance via a video link with the jail on Wednesday where bond will be set. From the beginning, authorities have been tight-lipped about the investigation, including what evidence has been submitted to the state police crime lab and whether they believed the shooting was a random act or if Pamela Zimmerman was a specific target for violence. Several days after her body was found, police asked for the public's help in obtaining potentially relevant video from surveillance cameras in a 10-block area west of the murder scene. New and innovative equipment purchased by BPD helped detectives develop evidence considered unobtainable years ago, said Heffner. Bloomington police investigators also spent two days searching Kirk Zimmerman's Bloomington home at 2804 Park Ridge Road and a police vehicle was seen outside the residence for about a month after the slaying. Pam Zimmerman was the mother of three high schoolers at the time of her death. She and Kirk Zimmerman divorced in 2012 after 20 years of marriage. The terms of the divorce included a six-page agreement that spells out very specific details of the children's' lives, starting with the times each child would spend with their mother or father on holidays. Arrangements for vacation, sports activities, church attendance and health care are covered in the documents. The parents also agreed they would never initiate the use of the terms "mother" or "father" by the children in relation to any other person. A substantial change in circumstances could cause the parental agreement to be reviewed. Those changes include marriage of either parent, a plan to move the children from the state and cohabitation of an unmarried parent, according to court records. Six months after their divorce was finalized, the couple was back in court because of a dispute over Kirk Zimmerman's alleged refusal to reimburse his former wife for about $5,700 in expenses related to the children. He was ordered to pay the money. During divorce proceedings, a judge found that Kirk Zimmerman's salary and bonuses at State Farm were more than adequate to cover his child support obligations. Pam Zimmerman became engaged several days before her death to a man from suburban Itasca. The Zimmermans lived in separate homes within blocks of each other on the city's northeast side. Heffner said police are still working the case and still want people with information to share that to come forward. BLOOMINGTON — Several days before she was found fatally shot in her Bloomington office, Pamela Zimmerman told friends she believed her ex-husband was willing to kill her, according to a statement read in court Wednesday. Kirk Zimmerman, now charged with his former wife's murder, appeared through a video link with the jail for a bond hearing where he was told he must post $500,025 to be released. Kirk Zimmerman was arrested Tuesday by Bloomington police as he drove on the city's east side. First Assistant State's Attorney Adam Ghrist read a five-page probable cause statement to Associate Judge David Butler that laid out in detail why authorities believe Kirk Zimmerman, 56, killed his ex-wife. Her body was found Nov. 4 in her office in the 2100 block of East Washington Street with four gunshot wounds. Kirk Zimmerman appeared calm as he sat in a holding area at the jail and listened to the 10-minute summary of the evidence the state intends to use against him. At one point when his divorce was discussed, he shook his head in disagreement. The Zimmermans' 2012 divorce, described as contentious by many people, led to court battles over money and festering ill will between the couple, according to the state. Ghrist told the judge that five days before she was killed, Pamela Zimmerman told a friend, "Kirk could look in my window while I am doing dishes and do away with me." She gestured as if she had a gun to her head when she made the remark, said the prosecutor. The state claims that in addition to quarrels over child-related expenses, jealousy was an issue — and a possible motive for murder. Pamela Zimmerman allegedly told a friend that her ex-husband "will probably put a bullet in my head" when he learned of her engagement announced on social media two days before her death. Emails collected by police from Kirk Zimmerman's electronic devices point to a man allegedly obsessed with the financial aspects of the split from his wife after 20 years. "I should have divorced her after our honeymoon," Kirk Zimmerman was quoted in a May 2013 email in which he complained that his ex-wife lived in a house he paid for. A woman identified in court documents as Kirk Zimmerman's girlfriend was in court Wednesday along with family members. The woman's interaction with Kirk Zimmerman hours before his wife's death are described in the statement. In his statements to police, Kirk Zimmerman claimed he was home Nov. 3 reading a book on his Kindle, information police later challenged by testing the device. The girlfriend told police Kirk Zimmerman did not answer his door when she went by his home at 6:45 p.m. Nov. 3. She called him, but he did not answer. She then texted him and he responded about 7 p.m. that he had been lying down and asked her to return. She stayed at his home until 9 p.m., according to police. Prosecutors also noted gunshot residue was found on the gearshift in Kirk Zimmerman's car despite his statement that he did not own or use a gun. When asked Wednesday if he had money to post for bond, Kirk Zimmerman said he had $15,000 available. The state has filed a motion that will force Kirk Zimmerman to disclose the source of any money he posts for bond. Ghrist said the state has concerns that bond money may come from the $1 million estate of the victim, a move they will oppose. The public defender's office was appointed to represent Kirk Zimmerman. Bloomington lawyer Stephanie Wong was in the courtroom with family members, but did not enter her appearance as the suspect's counsel. A July 31 arraignment is scheduled. BLOOMINGTON — A Bloomington man accused of murder in the November 2014 death of his ex-wife pleaded not guilty at a brief hearing Friday in McLean County Circuit Court. Kirk Zimmerman, 56, was accompanied by his newly-hired lawyer, Stephanie Wong of Bloomington. Zimmerman stood at the bench, dressed in a jail jumpsuit, as Judge Casey Costigan handed him a single-count indictment charging him with the murder of Pamela Zimmerman. The victim was found in her Bloomington office Nov. 4 with multiple gunshot wounds. Wong filed a motion asking that Kirk Zimmerman's bond requiring him to post $500,025 be reduced. Police found Pamela Zimmerman’s body in her office in the 2100 block of East Washington Street after they responded to a caller concerned about her well-being. The 53-year-old victim worked as a financial planner and certified public accountant and had not returned home from work on Nov. 3, said authorities. Costigan granted a request by the McLean County Public Defender’s office to be removed as appointed counsel for Kirk Zimmerman, who remains employed with State Farm and earns $8,500 a month from his job as a systems analyst. That makes him ineligible for a public defender, according to the motion. Costigan set an Aug. 27 status hearing before Judge Scott Drazewski. Costigan also ordered a bond report be written by pre-trial services in response to the defense motion to lower the bond. Last week, the state laid out its theory of the case in a lengthy statement read in court after Kirk Zimmerman’s July 21 arrest as he drove on the city’s east side. Kirk Zimmerman allegedly held a grudge against his ex-wife after their 2012 divorce in which custody and money issues involving their three teenage children were ironed out. The couple was married 20 years. The state detailed several emails in which Kirk Zimmerman complained about the financial terms of the divorce settlement. “I should have divorced her right after the honeymoon,” states one May 2013 email from Kirk Zimmerman, according to the state. Pamela Zimmerman’s fears that her former spouse’s jealousy may lead him to harm her are recounted in the state’s theory of why Kirk Zimmerman allegedly shot her. “If I can’t have you, no one else will,” he told his ex-wife, according to a probable cause statement from the McLean County State’s Attorney’s office. Speculating about Kirk Zimmerman’s reaction to her engagement two days before her death, she told a friend “when Kirk finds out about my engagement he will probably put a bullet in my head,” said the statement. Investigators also found gunshot residue on the gear shift of Kirk Zimmerman’s car following a Nov. 5 search of his vehicle, said prosecutors. Given Kirk Zimmerman’s claim that he does not own or use guns, the gunshot residue should not have been found in his car, the state argues. In the hours after Pamela Zimmerman’s body was discovered, police found her wallet, credit cards and other items several blocks from her office in what police consider a loop traveled by the killer who tossed the items from a car after leaving the office. BLOOMINGTON — A Bloomington man accused of killing his ex-wife has hired a St. Louis attorney to replace the Twin City lawyer forced to drop the murder case because of a conflict of interest. John P. Rogers will take over Zimmerman's defense from Stephanie Wong. Kirk Zimmerman, 57, is charged with murder in the death of Pamela Zimmerman, 53, who was found dead with multiple gunshot wounds at her east side Bloomington office on Nov. 4. Police had been called to check on her well-being. Wong was removed from the case Oct. 7 after a judge ruled her firm had met with three potential witnesses connected with the investigation. Zimmerman, who also met with Wong before his arrest in July, waived any potential conflict, but the witnesses who were each interviewed by Bloomington police were not willing to waive their confidentiality rights with the law firm. In Central Illinois, Rogers previously served as part of the defense team of Christopher Harris, who was convicted in 2013 of killing five members of a Beason family. Rogers left the Harris case after state funding was cut in the wake of the repeal of the state's death penalty. Rogers is expected to attend a hearing Oct. 22 where the issue of legal counsel for Zimmerman will be addressed. The murder case has been on hold until the lawyer matter was resolved. Pending are two defense motions seeking a reduction in Zimmerman's $5 million bond and a request that the state be barred from obtaining his bank records. The state will provide Rogers with about 10,000 pages of documents generated so far in the murder investigation. In August, the state filed a 50-page list of potential witnesses and evidence in the Zimmerman case. BLOOMINGTON — Kirk Zimmerman, the Bloomington man accused of killing his ex-wife in November 2014, has cancer, his lawyer disclosed in court Monday at a hearing where his bond was lowered. Defense lawyer John Rogers disclosed the information during his arguments to lower Zimmerman's bond from $5 million to $2 million. Judge Scott Drazewski agreed to lower the bond that will require Zimmerman to post $200,025 on charges that he shot his former wife, Pam Zimmerman, 54, multiple times in her east side Bloomington office. The judge agreed that $5 million was an excessive bond and did not cite any other factors for his ruling — including Zimmerman's health. In arguing for a $1 million bond, Rogers stated that Kirk Zimmerman has cancer and his release would allow him to seek medical care of his choice. Rogers did not provide further details about Zimmerman's condition. Rogers also argued that some defendants charged with murder and criminal histories dissimilar to Zimmerman's clean slate have seen bonds as low as $1 million. Rogers said Zimmerman would use funds from investments and his $2,000 monthly pension payment that he will receive after his recent retirement from State Farm to pay for the bond. Zimmerman's three children — twin daughters age 16 and a son age 18 — testified they support their father and want him to come home and live with them as he prepares for a trial on the first-degree murder charges. Zimmerman's jealousy over his former spouse's recent engagement and disputes over money was behind the killing, according to prosecutors. Zimmerman's brother, Craig Zimmerman, the court-appointed guardian for the Zimmerman daughters, testified Monday that he is willing to remain with the family in their father's home if Zimmerman is released. Zimmerman's girlfriend, Kate Arthur, offered to allow the suspect to live with her if bond conditions preclude him from being with the children, said Rogers. In his ruling, Drazewski said Zimmerman will be on electronic monitoring and allowed to leave his home for legal and medical appointments only, if he is released. He did not bar Zimmerman from living with his children. Rogers declined to comment after the hearing on whether Zimmerman can pay the $200,025 required for his release from McLean County Jail. The state opposed the reduction in bond, saying it has evidence that Zimmerman was served with notice that he had to return to court in the couple's divorce case shortly before his former wife was killed. First Assistant State's Attorney Adam Ghrist handed the judge paperwork from the Zimmerman's 2012 divorce in which Zimmerman was held in contempt of court for failing to pay his ex-wife for expenses related to their children. The contempt ruling points to Zimmerman's unwillingness to follow court orders, said the prosecutor. Zimmerman "was living far beyond his means" and "spending money faster than he was making it" in November 2014, said Ghrist, adding the defendant also had completed several transfers of large sums of money between bank accounts. Zimmerman's claim that he was at home during the time his former spouse may have been killed conflicts with surveillance video collected by police that shows a car similar to Zimmerman's traveling in the area of the slaying, said Ghrist, describing the death as a "premeditated, calculated, planned murder." Data collected from Zimmerman's car also indicates he made a trip to Indiana where he may have purchased a gun, said the prosecutor. And, gunshot residue was found in Zimmerman's car — something the suspect, who said he has never owned a gun, could not explain, said Ghrist. An Indiana firearms company provided the court with information requested under a state subpoena. Armslist.com was asked to surrender e-mails related to the purchase of a 9 mm hand gun — the same caliber of the weapon used in the murder. Rogers said his review of portions of more than 8,000 pages of documents from the state "leads me to believe this is an entirely circumstantial case," he said, adding he will challenge the time of death and gunshot residue results in what will be a "very expert-intensive case." A Jan. 28 review hearing is scheduled. BLOOMINGTON — Kirk Zimmerman, charged with murder in the death of his ex-wife more than a year ago, was released on bond early Tuesday afternoon after posting $200,025. Zimmerman, 57, of Bloomington, had been jailed since July on charges that he killed Pamela Zimmerman in November 2014. The Bloomington financial planner/accountant was found in her east side Bloomington office with four gunshot wounds. Zimmerman's three children, his brother and his girlfriend waited for him to be processed at about 1 p.m. Tuesday at the McLean County jail. As part of the terms of his release, Zimmerman was outfitted with an electronic monitoring device before he returned to his Bloomington home. The suspect's brother, Craig Zimmerman, said Zimmerman did not want to speak to the media. On Nov. 9, Zimmerman's bond was lowered from $5 million to $2 million, an amount that required him to post $200,025. Paperwork filed in court indicated the bond was paid from the liquidation of retirement accounts for Zimmerman and his girlfriend, Kate Arthur. According to evidence provided by defense lawyer John Rogers, Zimmerman planned to use the balance of his 401(k) account from State Farm to fund most of his bond. He has retired since his arrest, Rogers said. Zimmerman was required to confirm that no funds from Pamela Zimmerman's estate were used for the bond. At the conclusion of any criminal case, the circuit clerk's office retains a 10 percent bond fee with the rest of the bond returned to the defendant. In earlier arguments for a lower bond, Rogers cited several other McLean County murder cases where bonds were below the $5 million initially set for Zimmerman. The terms of Zimmerman's pretrial release require him to be on electronic monitoring at his home on Park Ridge Road. His travel is limited to medical and legal appointments; his next court appearance is in January. At a recent hearing, Rogers disclosed that Zimmerman has cancer, but he did not elaborate on the type or stage of the disease. Rogers said Zimmerman's release allows him to receive treatment at a facility of his choice. Inmates at the county jail with private insurance pay for their own medical care. Prosecutors have turned over more than 8,000 pages of documents to the defense. Surveillance video from several east-side businesses that depicts a car similar to Zimmerman's in the area of Pamela Zimmerman's office at 2103 E. Washington St. is part of the potential evidence against him. The state's contention that gunshot residue was found on the gearshift of Zimmerman's car is another part of the case that also relies on evidence of bad feelings that may have existed between the couple who divorced in 2012. Statements, emails and diary entries collected by police during the eight-month investigation leading to Zimmerman's arrest point to fears from the victim that her ex-husband was capable of harming her, according to the state. A remark to friends five days before her death that "Kirk could look in my window while I am doing dishes and do away with me," is an example of the discourse between the two cited by the prosecution. Rogers has characterized the case as largely circumstantial. Zimmerman's three children — twin daughters who are 16 and a son, 18 — have testified that they wanted their father to return home. Craig Zimmerman, of Georgia, serves as the court-appointed guardian for the minors. He said he is willing to stay in Bloomington as long as necessary to help care for the family. BLOOMINGTON — Whoever killed Pam Zimmerman did not force their way into her Bloomington office, but stayed around after the attack to move furniture in search of shell casings from the bullets that fatally wounded her, according to details of the crime scene disclosed in new court filings in the murder case against her ex-husband. Kirk Zimmerman is charged with killing his former spouse in November 2014 in her east side Bloomington office where she worked as a financial planner and certified public accountant. In a series of newly-filed motions, defense lawyer John Rogers has challenged portions of the state's potential evidence against the 58-year-old suspect, including the results of gun shot residue tests and statements Zimmerman made to police hours after his ex-wife was found. A search warrant request from Bloomington Police Detective Michael Johnson three months after the murder — filed as part of a defense motion — reveals new details of what led police to check on the victim and what two of Pam Zimmerman's friends found when they arrived at her office. One of Pam Zimmerman's neighbors, Julie Koh, contacted police on Nov. 4, 2014 after she received a call from the victim's fiance, Scott Baldwin, who was concerned that he was unable to reach her by phone from his home in the Chicago area. Zimmerman's teenage children told Koh that their mother had not come home the previous night, according to the court documents, and one of Zimmerman's daughters used a GPS application on her cell phone to search for her mother's phone. Police located the phone in a pile of leaves near Felton Place and Robinson Street. In the meantime, Koh went to Zimmerman's office at 2103 E. Washington St. and found the victim's car in the parking lot. Kol met Ina Hess, the victim's office manager, and the two went inside to find the light off and blinds closed, according to the warrant filing that is part of the newly-filed defense motions. The two women found Pam Zimmerman, 53, lying on the floor behind the reception desk, still dressed in the clothes she was wearing when Hess left work at 4:30 p.m. the previous day, Johnson stated in an affidavit filed with the search warrant. Zimmerman had suffered four separate gunshot wounds — one in the head, two in the torso, including one in the back, and one in the arm. Police think the killer spent some time after the shooting looking for shell casings and may have found three of the four, state the court documents. The detective noted that only one 9 mm shell casing was found and one bullet was recovered from the back of the chair in the reception area. The phone line in the reception area also had been cut. An analysis of Pam Zimmerman's cell phone by Bloomington police indicates the device was removed from her office around 6:15 p.m. — 45 minutes after a meeting with her final client of the day, narrowing the time of death to sometime between 5:30 and 6:15 p.m. Nov. 3, according to police. Missing along with her phone and wallet were two handsets for the office telephone and a desktop calendar. The handsets were later found several blocks away near Grove Street and Fairview Drive. The search request stated that what appeared to be small blood stains were found near an unlocked rear door of the office. Koh and other neighbors interviewed by police in the days after the murder described a rocky end to a troubled marriage between the Zimmermans. One woman recalled that Kirk Zimmerman had tried to buy a home directly behind his ex-wife, but ended up moving two blocks away when the purchase fell through, according to information contained in the search warrant. The tense relationship is expected to be a key element of the state's case against Zimmerman, a former State Farm systems worker. The couple sparred after the divorce was finalized over financial issues related to expenses for their children. Court records filed by the state allege that Zimmerman made insulting remarks about his former spouse, causing her to tell friends she feared for her safety. Pam Zimmerman and Baldwin met on an online dating site in August 2014 and became engaged two months later. She posted their plan to marry on social media on Nov. 1, 2014 — two days before she was killed. Baldwin told detectives he exchanged text messages with her around 1:25 p.m. on Nov. 3, but received no reply to messages he sent at 9 p.m. and several times later that night. BLOOMINGTON — Records on potential evidence in the Kirk Zimmerman murder case will be kept from the public even though the material will not be used by the state in its case, a judge ruled Thursday. Judge Scott Drazewski granted a request from defense lawyer John Rogers to keep two motions under seal following a disclosure from the state and defense that the information will not be used in court. The material may be unsealed after jury selection, the judge ruled. The ruling follows a challenge by The Pantagraph, WGLT and the Illinois Press Association to Rogers' request to seal the records and any court hearings concerning what he described as potentially prejudicial and inflammatory evidence. In arguments Thursday, media lawyer Don Craven said an appellate ruling in the DeWitt County murder case of Maurice LaGrone Jr. set a high standard for closing pretrial hearings and records. All other options — including changing the location of a trial — must be considered before taking the extreme measure of closing files and the courtroom, said Craven. First Assistant State's Attorney Adam Ghrist said the state took no position on closure of the records. Except for the motion filed by the defense, the material would not have been an issue, said Ghrist. Following the hearing, Craven commented that "the judge has just overruled the 4th District Appellate Court" in the decision that Craven said is contrary to the appellate decision. Zimmerman, 58, is charged with murder in the November 2014 shooting death of his former wife, Pam Zimmerman. She was found in her Bloomington office by a neighbor who went to check on her well-being and an employee of the financial services firm she operated. A Jan. 3 hearing is set for a series of motions in which the defense has tried to limit the information a jury will hear about the Zimmerman's relationship and what police learned during their investigation — starting with the suspect's five-hour interview with police the day Pam Zimmerman's body was found. Rogers has argued that Zimmerman's statements to police should be barred from a jury because they were involuntary and the product of police coercion. Zimmerman's request to end questioning until he had seen his three children amounted to an exercise of his constitutional right to end an interrogation, Rogers argued. Zimmerman's willingness to speak with police after he was informed of his right to remain silent makes his statement admissible, the state contends in its court filing. In a transcript of the interview filed in court, the state cites Zimmerman's response to a question from police Detective Michael Johnson as an indication that the suspect has a "an advanced level of understanding of certain aspects of police interrogations. "What would a lie detector say if they asked you the question, 'did you murder you wife?'" Johnson asked Zimmerman. "Let's not talk about lie detector tests. Maybe I've seen some inaccurate TV shows or something like that, but I think it's bogus, old, in the old days they used to believe it. I find it hard to believe they believe it today," said Zimmerman, and asked the detective to "move on to the next topic." The defense has also raised questions about evidence collected as part of multiple search warrants granted by the court based on police claims about gunshot residue found in Zimmerman's car. The state has misrepresented the results of lab reports on the evidence, according to Rogers. BLOOMINGTON — Pam Zimmerman's fears that her ex-husband was capable of killing her should be heard by the jury considering murder charges against him, according to motions filed by prosecutors. Pam Zimmerman was found in her Bloomington office on Nov. 4, 2014, lying on the floor, shot four times by Kirk Zimmerman, according to first-degree murder charges, because he was angry over her recent engagement and disputes over money. Zimmerman, 58, has pleaded not guilty. In a motion filed by McLean County prosecutors Adam Ghrist, Mary Koll and Brad Rigdon, the state asks that statements made to police by 13 witnesses and emails about the Zimmermans' rocky relationship be allowed at his still-unscheduled trial. The state argues that statements normally barred under hearsay rules are relevant to show the suspect's motive and intent to kill his ex-wife, 53. Zimmerman's daughter, Rachael Zimmerman, told police in a Nov. 4, 2014, interview that her mother had discussed Kirk Zimmerman's money from his employment at State Farm, money he should have divided with Pam Zimmerman as part of their divorce, said the court filing. Prosecutors allege that Pam Zimmerman told her daughter that when this was discussed, her ex-husband "got so mad that it scared Pam so she just let the defendant keep the money." Friends of Pam Zimmerman told detectives that Pam said "if anything were to happen to her, Kirk did it," according to police statements. Three days before she died, Pam Zimmerman predicted to friends Curtis and Carolyn Ronnekamp that when her former spouse learned of her engagement, he would "probably go ... ballistic," said the motion. Pam Zimmerman then put a finger to her head as if she was pointing a gun, and added "it wouldn't surprise me if I was at the kitchen sink washing dishes and he shot me in the head," the couple told police in a statement about a week after the killing. Kathleen Kraft, the Bloomington lawyer who represented Pam Zimmerman in the couple's contentious 2012 divorce, told detectives the victim was afraid of her husband of 20 years. The lawyer said those fears intensified in January 2013 after Pam Zimmerman filed a demand in court against Zimmerman for about $6,000 in unpaid expenses related to their three teenage children. Money disputes between the Zimmermans were the topic of heated disagreements chronicled in emails filed in court records. Kirk Zimmerman's plan to retire at age 55 was derailed by the divorce, according to his comments in an April 29, 2012, email exchange with his ex-wife. "This process has gone on a shocking number of weeks and I cannot wait to be done with you but will not hand you my life savings so close to retirement," Kirk Zimmerman wrote to his soon-to-be ex-wife. "I too cannot wait to be done with you," Pam Zimmerman countered in her reply. According to the state's motion, the couple's divorce mediator, Karen Anderson, in June 2012 wrote about Pam Zimmerman's dilemma in asking for half of her husband's pension: "If he doesn't get his pension he can't afford to retire. That alone will break him. He hates his job. If I'm the cause of him not being able to retire I then fear for what he'll do to me or to kids or to himself. I don't care to live like that." At a pretrial hearing last week, Ghrist said he plans to call 13 witnesses when the motion is heard during several hearings not yet scheduled in May. BLOOMINGTON — A McLean County judge erred when he ruled that court records in the Kirk Zimmerman murder case should be sealed from the public, according to a decision from the Illinois Fourth District Appellate Court. The appellate court reversed a December decision by Judge Scott Drazewski to keep pre-trial defense motions sealed until after a jury is seated in Zimmerman’s trial. The appeal follows a challenge filed by The Pantagraph, WGLT FM and the Illinois Press Association. Zimmerman is charged in the November 2014 shooting death of his former wife, Pam Zimmerman. At issue were two motions filed by defense lawyer John Rogers seeking to bar certain potential evidence against Zimmerman. The defense argued that release of the information could harm Zimmerman’s ability to secure an unbiased jury for his as-yet unscheduled trial. Rogers also asked that court proceedings on the motions be closed, but withdrew that request after the state said it did not intend to use the material. The McLean County State’s Attorney’s office took no position on the request to seal the records. Drazewski’s mistake centered on his opinion that no presumption of access existed for the public and media to hearings on what is known as motions in limine, which are proceedings to discuss whether evidence should be allowed at trial, said the opinion. The decision issued Friday found that Drazewski wrongly relied on a Fourth District ruling in the Jeff Pelo case, in which a judge found the media had no right to attend a pre-trial deposition of a witness in the sexual assault case against the former Bloomington police officer. The right to access pre-trial motions “plays a significant positive role in the functioning of the criminal justice process,” said the appellate ruling, including the exposure of improper police procedures that render evidence inadmissible. The appellate court concluded that its ruling in the Maurice LaGrone murder case remains the most relevant opinion on the issue of open access to pre-trial hearings and documents. In that case, the Fourth District reversed a DeWitt County judge’s decision to bar the media and public from details of potential evidence against a man accused of deliberately driving a car containing his girlfriend’s children into Clinton Lake. The appellate court sent the Zimmerman matter back to McLean County for further arguments on whether the presumption to access the records has been rebutted. Zimmerman is scheduled in court April 25 for more arguments on a defense motion to bar testimony from a woman who claims she saw Zimmerman near his ex-wife’s office around the time police believes she was killed. Four days of hearings also are planned in May to hear arguments on a state motion to allow testimony from 13 people who heard comments from Pam Zimmerman that she feared her former spouse. The Zimmermans divorced in 2012 after contentious legal wrangling over financial issues. BLOOMINGTON — Kirk Zimmerman's former girlfriend who was with him around the time his ex-wife may have been killed testified Tuesday that she believes he is innocent. Kate Arthur, who previously dated Zimmerman, gave details of her Nov. 3, 2014, visit with the suspect who is charged with murder in the death of Pam Zimmerman, 53. Arthur said Zimmerman did not answer the door when she went to his Bloomington home shortly after 7 p.m. He asked her a short time later to return and she stayed until around 9 p.m., according to her testimony. Zimmerman, 58, told Arthur that he had laid down and was reading when she initially came to the door. First Assistant State's Attorney Adam Ghrist questioned Arthur for more than an hour during the pre-trial hearing over whether the state will be allowed to introduce statements people claim they heard Pam Zimmerman make about her fears of her ex-husband before she was killed. When asked about her current relationship with Zimmerman, Arthur said she is a close friend and supports him and his family. She and Zimmerman had dated for 14 months before Pam Zimmerman's death, she said, adding that the two are no longer romantically involved. Arthur said her evening at Zimmerman's home was "perfectly normal," and included talking about the next day's election. Pam Zimmerman's body was found the following day in her Bloomington office. Police estimate she was killed early in the evening hours of Nov. 3. Arthur maintained that she has been honest with police and denied she deliberately deleted text messages to keep police from seeing her conversations with Kirk Zimmerman, saying it's her habit to daily delete electronic messages. She also was asked about a recorded jail call she had with Zimmerman in October 2015 before he was released on bond. She denied telling Zimmerman, "We can just lie" during a conversation the two allegedly had about the legal protections available to spouses who does not want to testify against their partners. The contents of the call are expected to be discussed further on Wednesday after defense lawyer John Rogers has a chance to review a transcript of the call. Arthur acknowledged that she had discussed marriage with Zimmerman before and after his arrest. During their relationship, Zimmerman was "very appreciative, considerate and affectionate," said Arthur. Other testimony Tuesday included a conversation between Pam Zimmerman and a friend in the summer of 2013 in which she recognized the potential danger her former husband posed, according to a witness. Bob Rogers told Judge Scott Drazewski about his warning to Pam Zimmerman that her ex-husband may pose a threat to her safety. Rogers said, "I thought he could harm her badly." In her testimony, Rogers' wife, Suzie Rogers, recalled her husband warning Pam Zimmerman to "be careful. I think it's possible Kirk could snap and kill you." Bob Rogers said the cautionary remark was based on his "gut feeling and intuition." He said Pam Zimmerman was a casual friend he knew through their children's softball teams. Bob Rogers said Pam Zimmerman responded matter-of-factly: "Don't you think I know that? I've lived with him." The couple acknowledged that they did not report Pam Zimmerman's alleged comments to anyone until they were contacted by a Bloomington police detective in April 2017. The Rogerses are among about a dozen witnesses expected to offer statements they allegedly heard in conversations with Pam Zimmerman late in her 20-year marriage to the suspect whom she divorced in 2012. Defense lawyer Rogers has vigorously objected to the statements as inadmissible hearsay. He disagrees that the state can use the statements under a legal provision that allows a victim's statements to be heard if it can be shown the suspect killed the person in order to keep them from testifying in court. Ghrist argued Tuesday that Zimmerman killed his former wife to keep her from coming to future court hearings related to child support. BLOOMINGTON — A woman who heard sounds similar to gunshots near the office where Pam Zimmerman was killed waited two weeks before telling authorities about her observation, according to her testimony in a pre-trial hearing on the murder charges filed against the victim's ex-husband. Jody Seip testified that she was meeting with a counseling client in her office at 107 S. Regency Drive in Bloomington on Nov. 3, 2014, when she heard a series of explosive sounds. Seip, who was called by the defense, said she and her client simultaneously asked, "What the hell was that?" when the noise erupted. The time of the sounds that Seip described as "almost rhythmic" in their rapid succession was 5:17 p.m., said Seip, recalling that she had looked at the clock in her office. But it was not until mid-November that Seip called CrimeStoppers with the information about the shooting. Her conscience, she said, had led her to make the call. First Assistant State's Attorney Adam Ghrist confronted Seip with audio of her interview with Bloomington police on Nov. 21, 2014, in which she put the time of the noise at 5:22 p.m.
Ghrist also questioned the witness about her close friendship with Zimmerman's former girlfriend, Kate Arthur, and the conversations the two had after Pam Zimmerman was found murdered in her office in the 2100 block of East Washington Street where she worked as a financial planner. According to Seip, Arthur was upset that Kirk Zimmerman's home was being searched by police and he was considered a suspect in his ex-wife's death. Seip denied that she discussed her testimony with Arthur. The timeline of the gunshots allegedly heard by Seip conflicts with what police know about Pam Zimmerman's final hours. The victim's last meeting with a client ended shortly after 5:30 p.m. and an analysis of her cellphone showed it was taken from the office around 6:15 p.m.
Pam Zimmerman's last client, Eldon Whitlow, testified Wednesday that she walked him out to the lobby of the building after the two ended their meeting. Whitlow was briefly scrutinized by police who examined his 9 mm gun, a weapon that matched the type used to shoot Zimmerman four times. Other testimony Wednesday focused on more statements people heard Pam Zimmerman make about the marital discord between her and the suspect. Talks between the couple over money issues became so heated during divorce mediations that she predicted he may kill her, according to Karen Anderson, a divorce mediator and parenting coordinator, who recalled Pam Zimmerman's statement after a mediation session in April 2012 where Kirk Zimmerman's pension was discussed. "He's going to kill me. I'm really afraid he's going to kill me," Anderson testified, quoting Pam Zimmerman. Anderson is one of about a dozen witnesses who have testified about statements they attribute to the victim during her contentious 2012 divorce and the days leading up to her death after she became engaged. The fact that Zimmerman's State Farm pension was part of the marital assets normally considered for division in a divorce made him "extremely angry," said Anderson. After one mediation session that ended with Zimmerman commenting, "this will not happen," in reference to a split of the pension, the mediator said she had serious concerns for Pam Zimmerman's safety. Anderson said Pam Zimmerman decided not to pursue a portion of the pension as part of the divorce settlement. Emails submitted as evidence during the hearings indicate that Pam Zimmerman initially tried to use the pension as a bargaining tool in the divorce settlement but she withdrew from that effort and signed a child custody and property agreement. Earlier Wednesday, Eric Hjerpe, a fiend of the victim, testified that Pam Zimmerman declined to push for the pension because she feared her ex-husband's reaction. Defense lawyer John Rogers repeatedly raised objections during the testimony from state witnesses who sometimes struggled to produce a verbatim recollection of Pam Zimmerman's statement. Curtis Ronnekamp was specific is his recollection of what Zimmerman said to him and his wife when they met with her several days before her death. After talking to Pam Zimmerman about their financial plans, the three chatted about her anticipation that she was about to become engaged to a man she had been dating for several months. "She said she didn't know she could be this happy," said Ronnekamp. When Ronnekamp asked Zimmerman how she felt her ex-husband would react to her marriage plans, she said "he will go ballistic," according to Ronnekamp's testimony. Pam Zimmerman also told the couple that she thought about the proximity of Kirk Zimmerman's new home just down the street from her. When she stood at her kitchen window, she sometimes imagined her ex-spouse shooting her, said Ronnekamp, raising his finger to his temple as if holding a gun, the same gesture he said Pam Zimmerman made when she made the remark the last time he saw her. The state expects to conclude its case with four witnesses Thursday. BLOOMINGTON — Kirk Zimmerman may have violated a condition of his bond on murder charges by allowing his son to repay a loan for a portion of the $200,000 bond with proceeds from his former wife's estate, a prosecutor said Thursday. Zimmerman and his ex-girlfriend Kate Arthur each cashed in retirement accounts in November 2015 to raise the cash needed for his release on murder charges in the shooting death of his former wife Pam Zimmerman. The victim was found Nov. 4, 2014, in her east Bloomington office. Zimmerman's financial condition and his ability to pay for defense experts were the focus of much of Thursday's court hearing. Zimmerman claims his legal costs have drained his assets and the limitations of his home confinement have restricted his employment opportunities. The suspect's financial health "is in a state of distress currently," defense lawyer John Rogers told Judge Scott Drazewski. In his arguments in support of two subpoenas seeking financial records from Arthur and the defendant's son David Zimmerman, First Assistant State's Attorney Adam Ghrist said the state is aware that Arthur's $100,000 contribution to Zimmerman's bond may have been repaid by David Zimmerman with money he received from his mother's estate. Such a payment would violate a ban on using the victim's money to secure the release of the suspect in her killing, according to the prosecutor. The state also has information that Zimmerman transferred the title to his Bloomington home to a trust in the name of his children, said Ghrist. Rogers denied that an ownership transfer has occurred. Drazewski postponed a ruling on Zimmerman's request for a $100,000 refund of his bond to pay for the expert witnesses. The judge will review David Zimmerman's bank records submitted under a subpoena from the state to determine if any information relevant to the defendant's finances should be turned over to prosecutors. Arthur's lawyer Scott Kording opposed a subpoena she received for records related to any money transfers, payments or gifts made by her, Zimmerman or his children. As a private citizen, Arthur is protected from such an invasion of privacy, said Kording. "This is easily the broadest subpoena I've ever seen," said Kording, adding that the search could take Arthur a week of combing through emails, letters and other records. Arthur "is not just any third party in this case — she's a witness. She separated herself when she liquidated six figures to help the defendant post bond," said Ghrist. The judge agreed with Kording that the subpoenas should be narrowed. A new subpoena was issued to Arthur for bank records from July 1, 2015, to Aug. 3, 2017, involving payments of $1,000 or more between her, Zimmerman and his children. The records are due by Aug. 18. In a ruling on another motion, Drazewski said testimony will be allowed at Zimmerman's trial from Charles Legg, the husband of Maria Legg, a Bloomington woman who claims she saw Zimmerman outside the victim's office about the time authorities believe the victim was shot multiple times. Maria Legg did not report seeing Zimmerman to police but told her husband she recognized the suspect when she saw his photo in a newspaper story about his arrest in July 2015. The judge barred testimony from Annis and Ron Guenther, friends whom Maria Legg told about her possible identification of the suspect more than a year after the killing. The Guenthers were not nearby when Maria Legg first identified Zimmerman, noted the judge. Rogers objected to any testimony from the three witnesses. The defense lawyer characterized Maria Legg as "a poor witness who was not even able to identify herself on a screen from the witness stand," referring to a previous hearing where Legg was shown a photo of herself on a screen in the courtroom. The state hoped to use the Guenthers to bolster Legg's "incredible testimony," said Rogers. In her arguments in support of the testimony, Assistant State's Attorney Mary Koll said the jury should judge the reliability of what the Leggs and Guethers have to say. Zimmerman is due back in court Aug. 31 for arguments on several pending motions. Drazewski said he hopes to set a trial date after those matters are resolved. BLOOMINGTON — A McLean County judge hit the pause button on further hearings in the Kirk Zimmerman murder case Thursday until two appeals filed by the state have been resolved. First Assistant State's Attorney Adam Ghrist requested the delay on any decisions on pretrial issues by Judge Scott Drazewski until the 4th District Appellate Court rules on appeals related to potential evidence in the case. Zimmerman is charged with shooting his ex-wife Pam Zimmerman in November 2014 as she sat behind a desk at her office on Bloomington's east side. Ghrist argued the judge may lack jurisdiction to make decisions on pending motions until the appeals of March 2017 rulings are settled. The issue of a delay was discussed recently in a series of emails exchanged between the judge, Ghrist and defense lawyer John Rogers. Rogers voiced strong objections to the delay, predicting that the setback could remove the potential for a trial in 2018. "How long is Mr. Zimmerman going to be allowed to sit around and wait for his day in trial?" Rogers asked. According to Rogers, the proceedings could continue on matters not related to the issues under review by the appellate court. The state has appealed a ruling by Drazewski to exclude a computerized photo lineup in which a Bloomington woman said she recognized Zimmerman as the man she saw near the victim's office about the time police believe the shooting occurred. Citing improper procedures used by Bloomington police to conduct the lineup, the judge barred the evidence from a trial. A decision by the judge to bar statements the alleged eyewitness made to friends about her identification of Zimmerman is the subject of a second appeal. In his comments putting the hearing schedule on hold, Drazewski noted that the decison by any party to appeal an issue while a case is pending delays the matter seven to 10 months. The difference between the issues contained in the appeals and those in pending motions go beyond the standard apples and oranges comparison, said the judge, to a more remote fruits and vegetables category. Still, a lack of clear guidance from other courts on the matter could put the case at risk for more postponements if it were to proceed with the appeals pending, said the judge. Both lawyers and the judge agreed that filing deadlines and material that are required to be exchanged will continue but no hearings will be set until the appellate court mandates are issued. Among the issues still to be resolved are defense objections to potential testimony from a state expert on information collected from a computer in Zimmerman's car and an analysis by another state witness of the suspect's finances. The Illinois Supreme Court has agreed to Rogers' request for a review of a favorable appellate ruling of a media challenge to the judge's decision to seal certain court records. The Pantagraph, WGLT and the Illinois Press Association appealed the decision to keep the information sealed until a jury is seated. No hearing dates have been set on the state's appeal or the Supreme Court review. SPRINGFIELD — The state's top lawyer has weighed in on whether records sealed in a Bloomington murder case should remain closed, saying the public does not have a right to access certain court documents. Illinois Attorney General Lisa Madigan's office filed a brief Wednesday in the Kirk Zimmerman case as the defense seeks a state Supreme Court ruling on whether pretrial motions are public records. A McLean County judge sealed records in the Zimmerman case in 2016 after defense lawyer John Rogers argued that the material was "sensitive, private and/or inflammatory." McLean County prosecutors took no position on the defense request to seal the documents that the state does not intend to introduce as evidence in Zimmerman's trial on charges that accuse him of the November 2014 murder of his ex-wife, Pam Zimmerman. State's Attorney Jason Chambers said Thursday his office was contacted by Madigan's office before the recent filing with the Supreme Court and his office again took no position on the issue. The Supreme Court has agreed to hear an appeal by Zimmerman of a ruling by the 4th District Appellate Court siding with The Pantagraph, WGLT and the Illinois Press Association, who argue pretrial motions are open records. The appellate court sent the news outlets' petition back to the local court for further hearing, and Zimmerman appealed to the Supreme Court. Madigan's legal team became involved in the legal dispute because the attorney general "has a substantial and unique interest in ensuring that the important legal questions presented in this case are resolved in a manner that best balances the competing public interests at stake," according to the court filing. Much of the argument by Assistant Attorney General Gopi Kashyap supporting the defense position rests on a claim that the appellate court has no jurisdiction to consider court orders sealing criminal court records, including challenges filed by the media as intervenors. Rather than the Supreme Court issuing a ruling in the McLean County case, the attorney general is asking the court to refer the issue to the Supreme Court's Rules Committee for consideration. Of the four Illinois cases involving sealed records — three of them filed by The Pantagraph — the appellate court acted improperly by reviewing the cases, said Madigan's office. The material sealed in the Zimmerman case involves information developed by police during the investigation and provided to the defense as part of the discovery process. The defense planned to ask that the jury be barred from hearing the information that the judge ruled may be disclosed after jury selection. A presumption under Illinois law that court records are open does not apply to all pretrial motions concerning potential evidence, the state argued. Noting that hearings regarding evidence have been around less than 100 years, the state noted .."when the First Amendment was adopted, the public had no right to attend pretrial evidentiary hearings." Proceedings in the Zimmerman case are on hold until the appellate court rules on two appeals filed by McLean County prosecutors of court rulings related to witness statements and a computerized photo lineup in which a witness identified Zimmerman. BLOOMINGTON — Nearly four years after the shooting death of his ex-wife, a trial date was set Thursday in the Kirk Zimmerman murder case. McLean County Judge Scott Drazewski tentatively set the trial date for April 1. First Assistant State's Attorney Brad Rigdon said the trial could last four to five weeks, with testimony taken four days each week. Zimmerman's lawyer, John Rogers, concurred. Zimmerman, 60, was charged in July 2015 with the Nov. 3, 2014, murder of his former wife, Pam Zimmerman. She was found dead in her office on Bloomington’s east side from multiple gunshot wounds. Part of the delay in bringing the case to trial stemmed from an appeal filed by the state of rulings by Drazewski related to potential evidence. The case was put on hold for most of 2018 while an appellate court decision was pending on whether Drazewski erred when he barred statements from several potential state witnesses and a computerized photo lineup that included Zimmerman. In June, the appeals court affirmed Drazewski’s rulings. Also Thursday, Drazewski denied a defense motion to suppress evidence obtained from cellular telephone providers related to Kirk Zimmerman's cell phone and a device within his car. Rogers was seeking to bar the jury from hearing information about where Zimmerman may have traveled on the day Pam Zimmerman was killed, and on other dates. The defense has fought the state's attempt to introduce evidence that Kirk Zimmerman allegedly retraced the route where police found items belonging to Pam Zimmerman after she was found dead in her office. Rogers filed a motion in August, asserting the evidence should be barred because the U.S. Supreme Court ruled in June that the government generally needs a warrant to track an individual's location through cell phone records over an extended period time. He argued in court Thursday that the information was illegally obtained because the police did not first obtain a search warrant. Rigdon contended police acted within the boundaries of the law at that time. "Not only was there a statute in place that dictated the process, there was also case law supporting the fact that a search warrant was unnecessary," said Rigdon. In September, the BPD obtained search warrants, signed by Judge Casey Costigan, seeking the records that were the subject of Rogers' motion. "To allow the state to sanitize — and duplicate — an unlawful search that (the state) has already determined is a productive one by pursuing a warrant after the fact would gut the protections of the United States and Illinois constitutions and is contrary to Illinois law, and the evidence seized should be suppressed," stated Rogers in his motion argued on Thursday. Drazewski agreed with Rigdon's contention that detectives operated in good faith at the time. Rogers also has questioned the qualifications of a state witness, FBI Special Agent Greg Catey, to testify about the data from Zimmerman's car. According to Rogers, Catey lacks expertise to offer an opinion on the data. A hearing on motions related to that issue is expected to be set in December. Court records show Pam Zimmerman had plans to take her ex-husband to court over expenses for the couple’s three teenage children. Prosecutors contend Kirk Zimmerman killed her to eliminate the threat of more court proceedings. Pam Zimmerman had announced her engagement days before her death. Kirk Zimmerman also was involved in a relationship at the time of his arrest. BLOOMINGTON — A judge has issued a gag order in the Kirk Zimmerman murder case, barring lawyers, witnesses and court employees from making statements about the case set for trial April 1. Judge Scott Drazewski filed the ruling Thursday in the high-profile murder case involving the 60-year-old Bloomington man, who is accused of killing his former wife, Pam Zimmerman, in November 2014. The two-page order lays out nine prohibitions that, if violated, could result in a contempt of court charge against the offender. Such orders are generally reserved for the most high-profile trials where extensive media attention is expected. The order bars prosecutors, defense lawyers and their staff, court employees, police involved in the case and any anticipated witnesses from participating in media interviews during what is expected to be a four- to six-week trial. Potential evidence, including statements, exhibits and photographs cannot not be disclosed or discussed, under the rule. Those covered by the order cannot express opinions outside the courtroom "as to the weight, value, or effect of any evidence as tending to establish guilt or innocence," the judge ruled. Certain other information may be discussed. Lawyers and others involved in the case can discuss basic facts of the case and quote from court records. Scheduling matters related to the trial and the results of court proceedings also are not off limits. Witnesses are allowed to talk with prosecution and defense lawyers. Zimmerman is accused of shooting his ex-wife in her east-side Bloomington office. He was arrested eight months later on murder charges. In pre-trial hearings and court filings, the state has theorized Zimmerman killed his former wife because he wanted to end his child support obligations for his three children. Pam Zimmerman had mailed her ex-husband a letter days before her death demanding payment of his share of expenses for the children. The defense has claimed in its arguments that Zimmerman is innocent and that the state's case is largely based on circumstantial evidence surrounding the couple's 2012 divorce. Jury selection is scheduled to begin April 1 and last several days. More than 100 witnesses are expected to testify. The victim's divorce lawyer, experts for the state and defense on cellphone tower data, family members and friends of the Zimmermans also are on the witness list. BLOOMINGTON — The lawyer for Kirk Zimmerman threatened Monday that he will try to have the jury sequestered for the lengthy murder trial if a judge unseals potentially damaging information about Zimmerman before a verdict. Zimmerman, 60, is charged with killing Pam Zimmerman in November 2014 in her east side Bloomington office where she worked as a financial planner. Shot four times, she was found behind the reception desk by a member of her staff. At the final hearing before jury selection begins April 1, defense lawyer John Rogers blamed extensive pre-trial coverage — specifically "biased reporting" by The Pantagraph — for a large number of potential jurors expressing an opinion on Zimmerman's guilt in a 28-page questionnaire recently sent to them by the jury commission. Of the 190 respondents, 84 cited hardships that could preclude them from service on the four-to-six-week trial, said Rogers, adding 36 people said they have a pre-formed opinion about the case. "Statistically, it's staggering the effect pre-trial publicity has had on this case," said Rogers, calling the impact "overwhelming." Judge Scott Drazewski asked Rogers and First Assistant State's Attorney Brad Rigdon to complete, by Friday, a preview of the questionnaires and submit a list of possible jurors who may be disqualified. The judge said he plans to call 32 to 40 people for questioning when jury selection starts on Monday. The process is expected to take four days. Zimmerman's lawyer cited the survey results in his arguments to keep certain potentially inflammatory information about Zimmerman sealed until a verdict. Drazewski previously ruled the information, which the state does not intend to introduce as evidence, should remain sealed until at least a jury is impaneled. Such a timeline "is not good enough from the defendant's standpoint," said Rogers, threatening to file a motion to sequester jurors, or keep them overnight at a hotel, for the entire trial. The defense has not requested a change of venue to move the trial, but such a move, along with a motion for a mistrial, could be filed if the sealed documents are released and shown to negatively impact the jury. Drazewski took Rogers' request to keep the information secret under advisement. Also Monday, Rogers and Rigdon confirmed that no plea offer has been extended to Zimmerman. Rogers said his client "maintains his innocence" and has never sought a plea agreement. The judge read the murder charge to Zimmerman and explained a conviction carries a sentence of 45 years to life in prison. In another pre-trial ruling, the judge granted the state's request on behalf of nine witnesses to exclude them from extended media coverage that would have allowed reporters to video, photograph and record their testimony. The witnesses cited privacy concerns as the reason for their objection, according to the state. Speaking for the media, the media coordinator for the 11th Judicial Circuit objected to exclusion of seven of the witnesses. Two law enforcement officers whose duties include undercover police work can be excluded under Illinois Supreme Court rules. The state's evidence against Kirk Zimmerman is expected to include emails the couple exchanged during their 2012 divorce and in the two years leading up to the homicide. The messages included references to the ongoing dispute between the two over expenses related to their three children. The state will show jurors video of a car matching Zimmerman's vehicle entering the parking lot of Pam Zimmerman's East Washington Street office building and sitting for several minutes on Nov. 3, 2014. The following day, the 53-year-old victim's wallet and cell phone were found in a pile of leaves several blocks from the crime scene. Zimmerman's defense lawyer is expected to call an expert to challenge state evidence showing the suspect allegedly traveled to Indiana to buy a hand gun. No weapon has been recovered. About 100 witnesses are expected to testify.